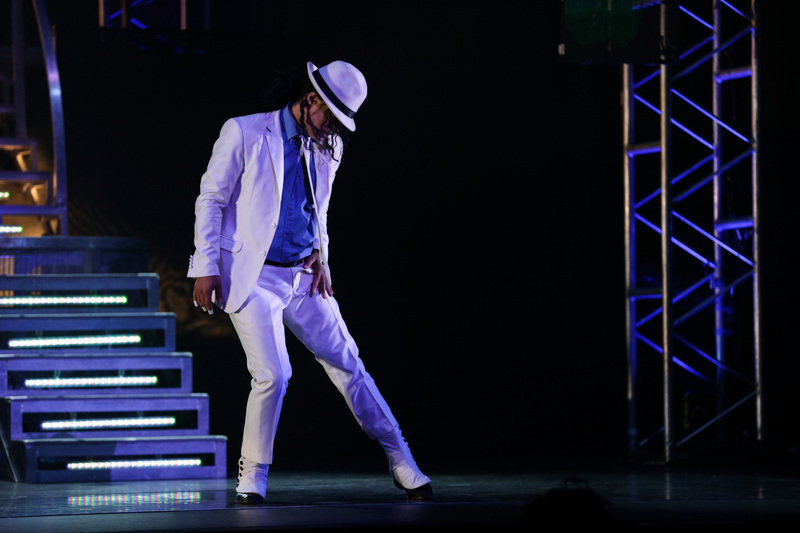 A concept that has all of the ingredients for a thrilling night falls surprisingly and disappointingly flat in this touring homage to king of pop Michael Jackson. Perhaps the State Theatre is too large and too sedate a venue to accommodate a night of rock, but the show just does not really travel across the footlights to electrify the audience. 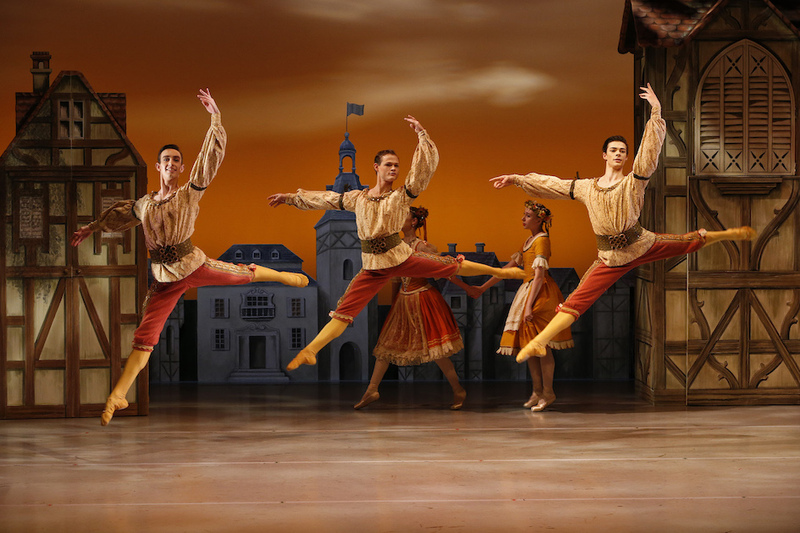 While the lively male dancers are generally more fun to watch than the females, the touring cast seems to lack interest and energy overall. A couple of audience interaction numbers give the show a brief lift, but overall it is a fairly passive viewing experience. It is a mercy that the show is not a tedious “narrative concert,” with only few moments of spoken dialogue throughout the night. Overall, this is the story of the birth and growth of a particular form of music, not the story of the life of Michael Jackson. The songs are presented roughly in order of original release dates, starting with the cute tunes of the Jackson Five, moving into disco and then into Jackson’s own distinct sound. 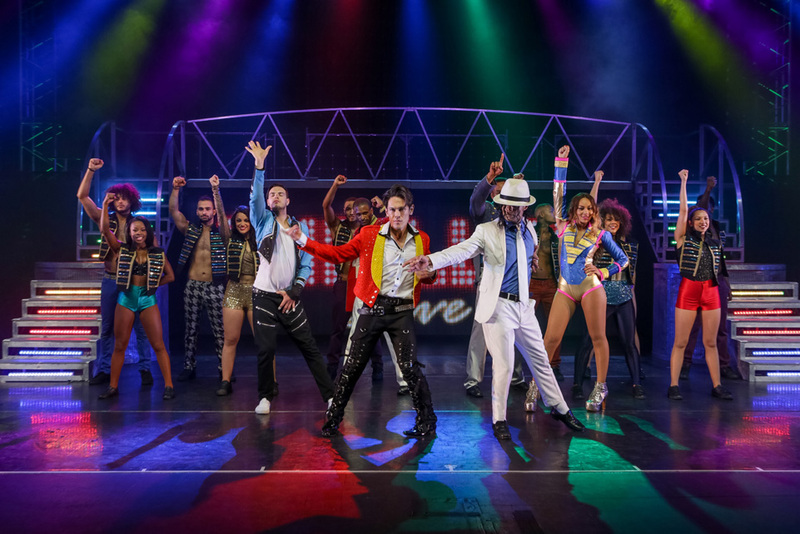 The main attraction is to hear the classic songs of Michael Jackson and the Jackson Five, and the band of seven musicians certainly recreates the songs with flair. The half dozen vocalists in the show are clearly talented, but, in trying to match the studio sound, the sound design muffles and processes their singing to a quality below what is hoped for at a live concert. Production elements are suitably glitzy, with lights (Nigel Catmur) and video projections (Colin Rozee) creating constant visual interest. 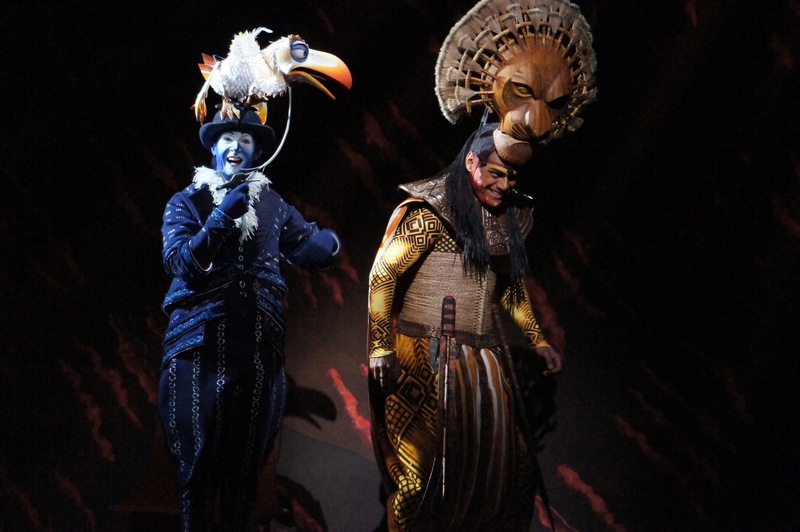 The incredible array of costumes (Rob Jones, Catherine Teatum) is a highlight, with the cast changing outfits every two or three songs. Lighting, projections and costumes complemented each other to create a wide range of places, times and concepts. Australian Mig Ayesa makes a welcome appearance back on his home turf, delivering a couple of heartfelt ballads. 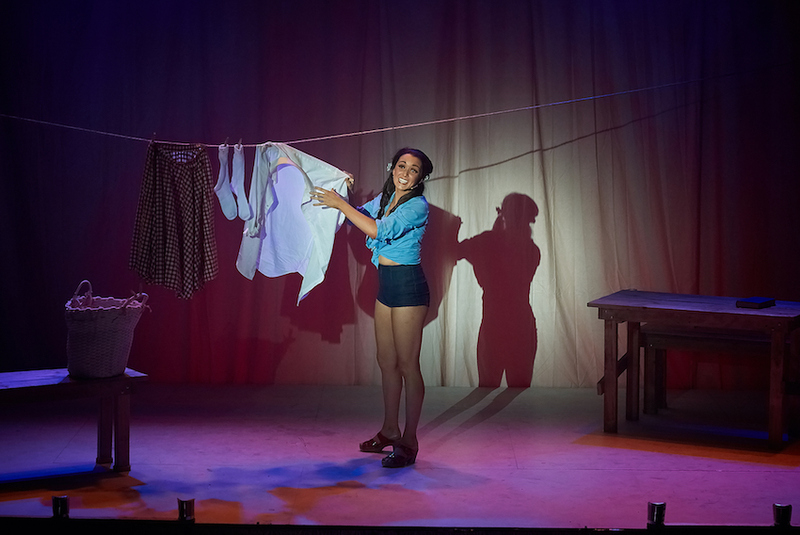 With a knowing twinkle in his eye and a spring in his step, Ayesa is one of the few performers whose energy carries across the cavernous auditorium. Fellow Australian Prinnie Stevens is in strong voice, but there seems to be something amiss in having a female singer performing so much of what is a male catalogue of songs. Australian music theatre performer Peter Murphy has an impressively strong singing voice that is a pleasure to hear. Murphy looks somewhat out of place on stage next to the more rock/pop-friendly performers, particularly since he mostly only has very plain costumes to wear. The audience reacts most strongly to singer Sean Christopher, who appears on stage in full Michael Jackson costume and hair. This kind of direct connection to the legendary performer is what excites the fans, as opposed to just hearing the songs being sung. The evening ends with classic songs “Billie Jean” and “Thriller” before a bit of a megamix of hits. Considering the fact the fact that “Thriller” is the title song of the show (although the title could be referring to the album “Thriller”), the performance of this classic is not a patch on the highly memorable, distinctive dancing of the iconic original film clip. For diehard fans of Jackson’s music, the show provides a chance to hear the music expertly played. 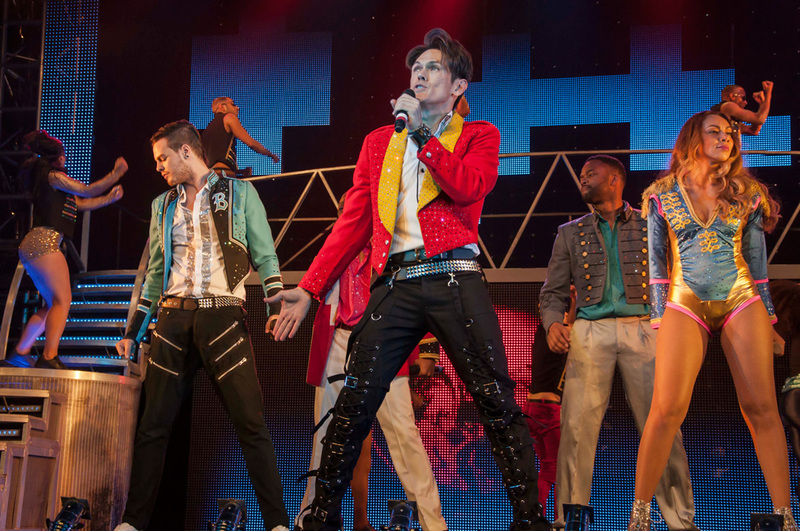 Thriller Live plays at State Theatre, Melbourne Arts Centre until 8 February 2015, before playing in Sydney and Auckland. Wow I’m jealous you saw the real guys live. And in 1984 – perfect! I would have enjoyed this show as well – if it had been performed with an sort of energy or flair! I doubt it will ever be on Broadway, which is a shame given the huge number of fans who would like to re-live this music. I think American fans would really resent what a poor production this is.